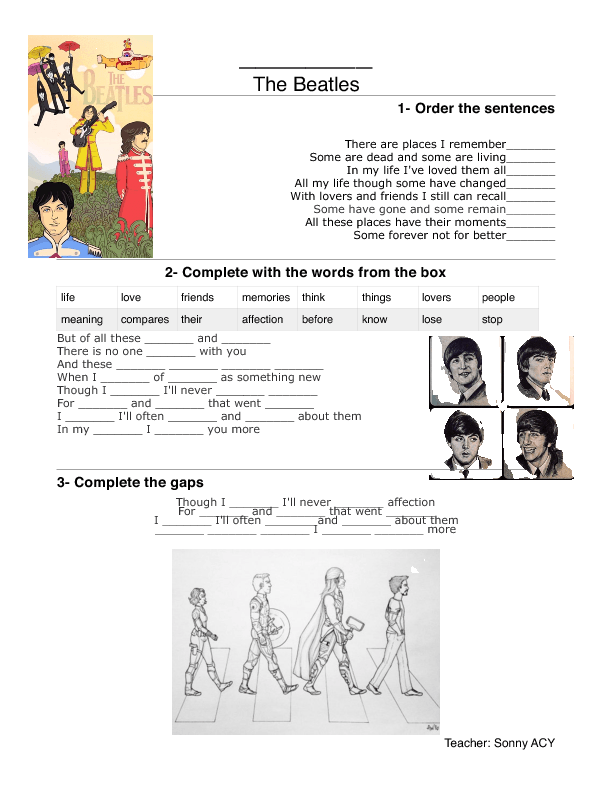 This is a listening exercise for beginners using the Beatles song, which is stillvery popular in TEFL countries. In the first exercise ss have to order the sentences. 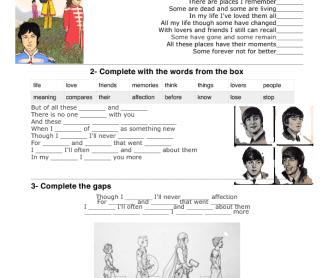 In the second exercise they must fill in the gaps using some words and verbs from the box. In the third exercise they have to complete the gaps with the words they hear.